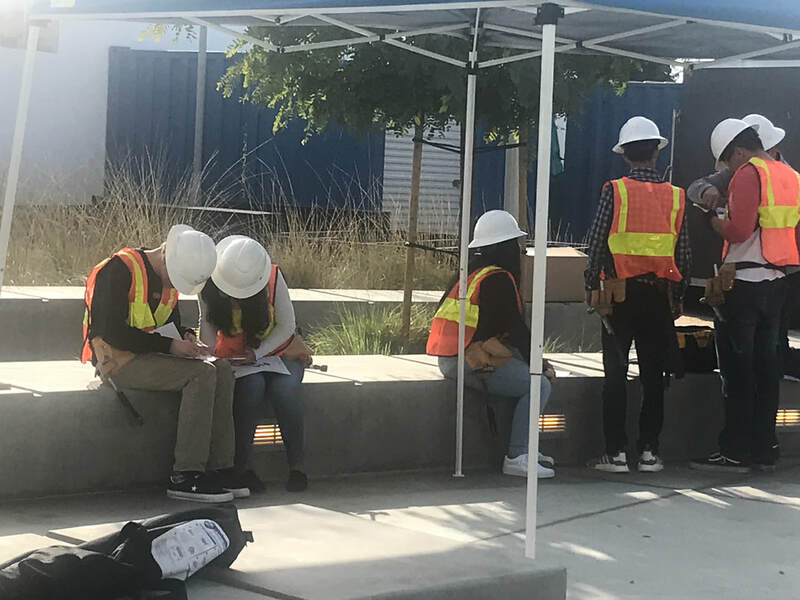 In the weeks leading up to spring break, CEA continued to dabble in various subfields of civil engineering and architecture: lighting, plumbing, structural engineering, and more. April 3rd: CEA Honors showed the juniors their progress on the subfloor and skeleton of the Tiny House. April 5th: Cal Water employees Clyde, Audrey, and Mike visited our classroom to give a presentation on their work maintaining, refining, and transporting water throughout California. 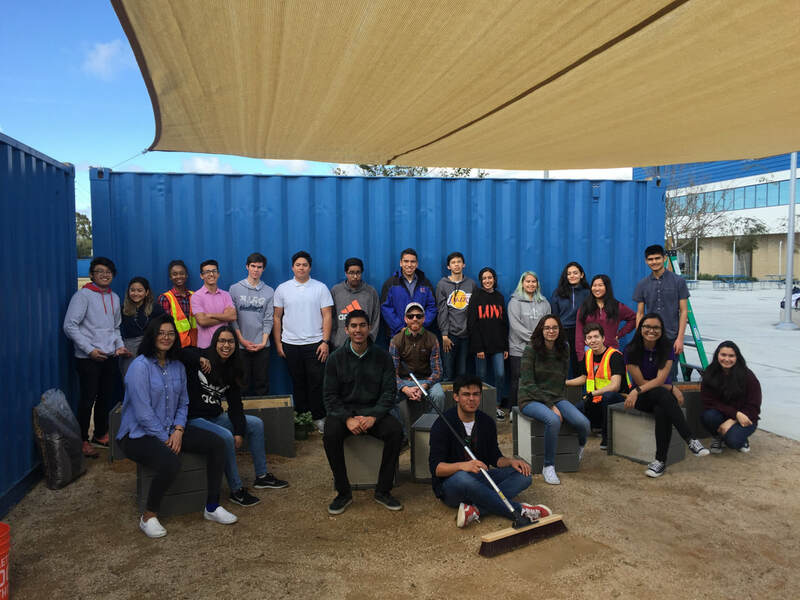 April 11th: CEA took a field trip to the LA Green Careers Conference! Then, in the evening, we participated in Da Vinci Science's semesterly exhibition. Exhibition is our school's version of an open house. Families and friends visit to see what kind of projects we do in our classes at DVS. There's a lot going on in CEA right now! 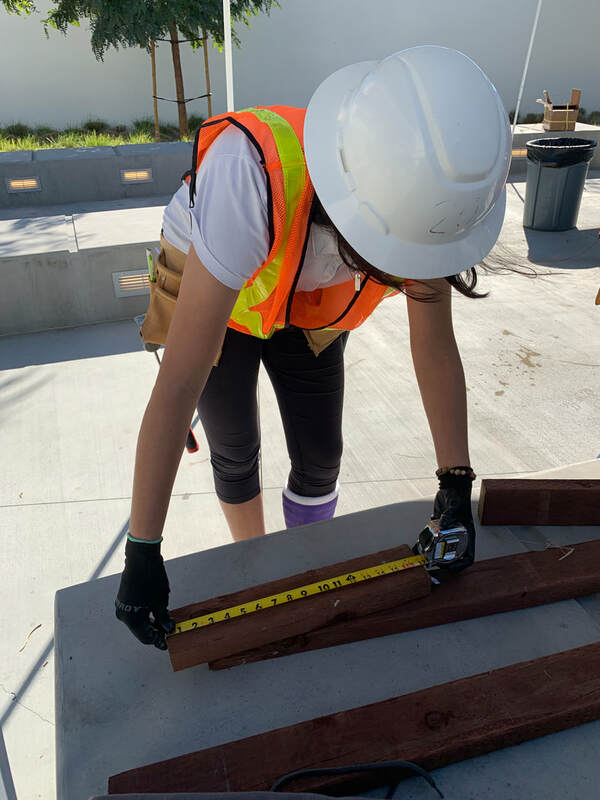 As the 11th graders work on lighting design and beam calculations, the 12th grade CEA Honors class prepares for the building stage of the Tiny House. We're getting ready to kick this project into full gear. 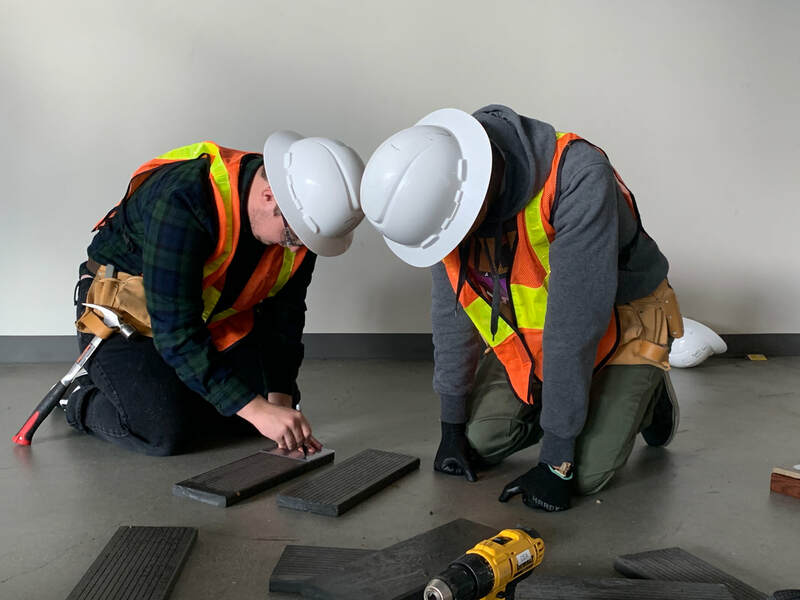 ​CEA HONORS: The seniors are working on the subfloor and preparing to install the 450 lb steel pivot door. This includes priming the door to prepare for paint. This week, they are planning to raise it to position. LIGHTING DESIGN: CEA has continued to work with Carol Prendergast from Oculus. We learned about lighting design through a collaborative project. Each student created their own lighting plans, then we worked in groups to mesh our ideas into just a few drawings. On Thursday, we presented to Mr.McGregor and Carol. It's one thing to learn about ideas in a classroom. But it's much more fulfilling to be totally immersed in the subject. In CEA, we have the opportunity to learn by doing through our current building project. This week, we took real-world learning to the next level. On Wednesday 3/6, CEA took a field trip to downtown LA. We visited and toured the office of Gensler architecture firm, saw some of the city's most iconic buildings, and even stopped by The Last Bookstore (we were fascinated by the the arch of books on the second floor). At Gensler, we were greeted by Heidi and Yana, two of the architects who've been working closely with our school and CEA. They gave us a tour of their collaborative workspace. Since architecture is such a broad subject that requires many areas of expertise, Gensler's offices have diverse functions for each specialty within the field. There's a machine shop for building and fabricating architectural models, open offices for designers to create and collaborate, meeting rooms for presenting ideas, and a "materials library" for employees to research the texture and aesthetic of various materials. ​Architectural models and photographs filled the shelves lining the walls. The Gensler office space is conducive to collaboration and creativity - it's easy to see how the design of our school is heavily influenced by it. After the Gensler tour, we toured DTLA. 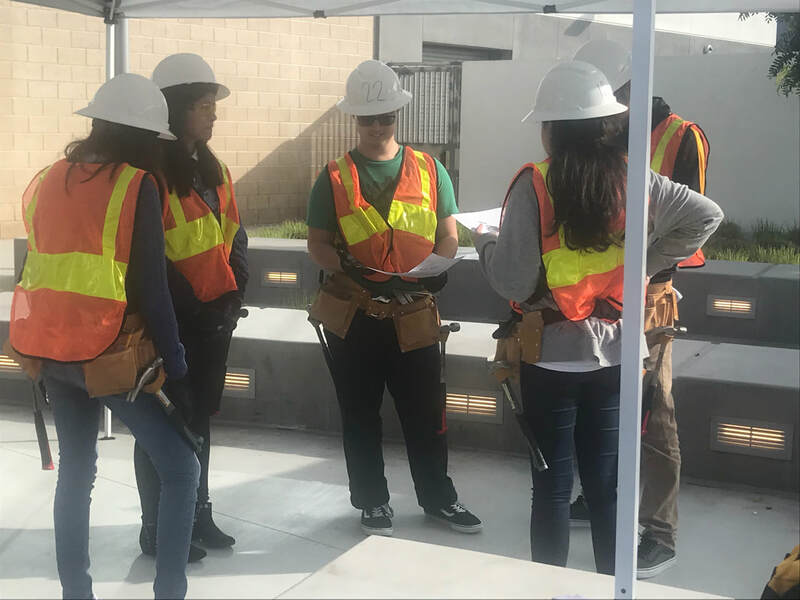 Each "build group" of the construction project was in charge of researching and presenting on one of the five iconic buildings we visited: the Walt Disney Concert Hall, the Dorothy Chandler Pavilion, the Cathedral of Our Lady of Angels, the Cal Trans building, and the Bradbury Building. Huge shoutout to Heidi, Yana, and the entire Gensler team for making this trip possible! Week 7: Finished the parklet! What a crazy successful week in Civil Engineering & Architecture! These past few days have been some of the most hectic and rewarding we've experienced so far this semester. This week was crunch time for the parklet. The planters and seats needed to be completely finished by the end of the week. Some students could be seen walking and working on top of the outdoor containers, setting up a large tarp over over our building area. Other students, like myself, worked in groups to quickly finish our pertaining projects. On Thursday, the parklet construction came to a close. We waterproofed the planters, filled them with soil and fertilizer, than made them home to various succulents. The seats were rolled over to the parklet area. CEA has put a wrap on this portion of the project! 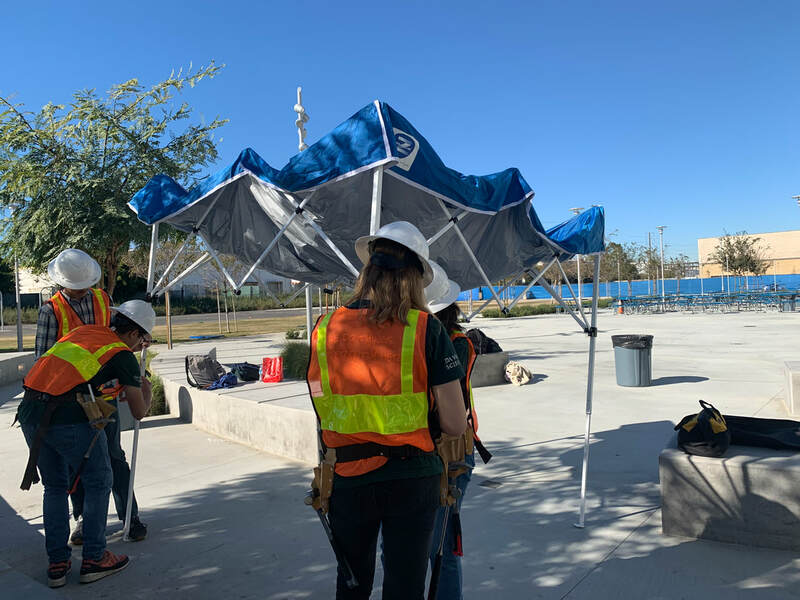 After a lesson on lighting design taught by Oculus employee Carol Prendergast and a cost estimation assignment from Mr.McGregor, CEA students gained knowledge about how interdisciplinary the DV Rise Trailer project is. It encompasses many different fields such as art, design, manufacturing, business, and mathematics. We powered through this week with a fresh excitement and foresight about this project. Our build teams are continuing to work on the exterior elements of the trailer. This week was spirit week, so we repped each day's unique attire while building. For example, we worked in our sweatpants and pajamas on Monday, which was Pajama Day at DVS. Each build group is making significant progress. The basic structure of the planters is almost done, while the seats are looking good. On Friday, we had he privilege of hosting guest speaker Carol Prendergast, a lighting designer from Oculus Light Studio. She taught us the basics of interior lighting design. CEA groups are well on their way to finishing their pertaining projects, like the seats and the planters. CEA is making lots of progress on the planters. This week, my group created two rectangular parts for the planters out of wood. Using measuring tape and a circular screw, we cut each 8 pieces at specific lengths and used them to create 4 planter parts. We also refined our screw driving skills by drilling in the diagonal cross sections that reinforce each planter. Below is a screenshot of the original plans, which is what these parts of the planters will soon look like. Other groups worked on cutting and reforming the BamDeck pieces that will line the outside of the planters. BamDeck is a brand of decking material that is made of 100% recycled materials. Some of this will also be used for cube seats. 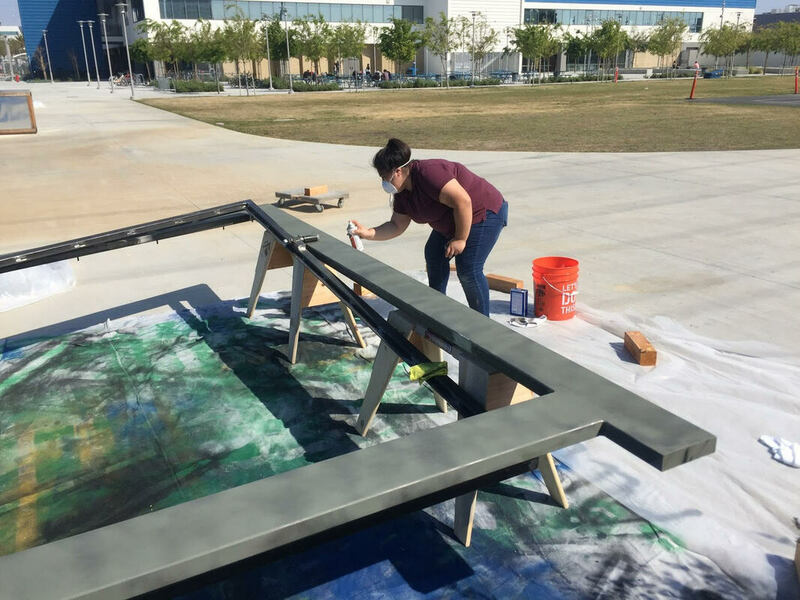 ​Students mark the BamDeck pieces using a stencil and sharpie, then drilling in those designated locations. This week, we continued in our project teams to build parts for the planter. We started building cube chairs, which involve meticulous measurements and precise cuts. All the groups made progress on the construction. We started our project last week, on January 14th, 2019. We split into groups lead by the foremen who took Civil Engineering & Architecture as juniors during the 2017/2018 school year. 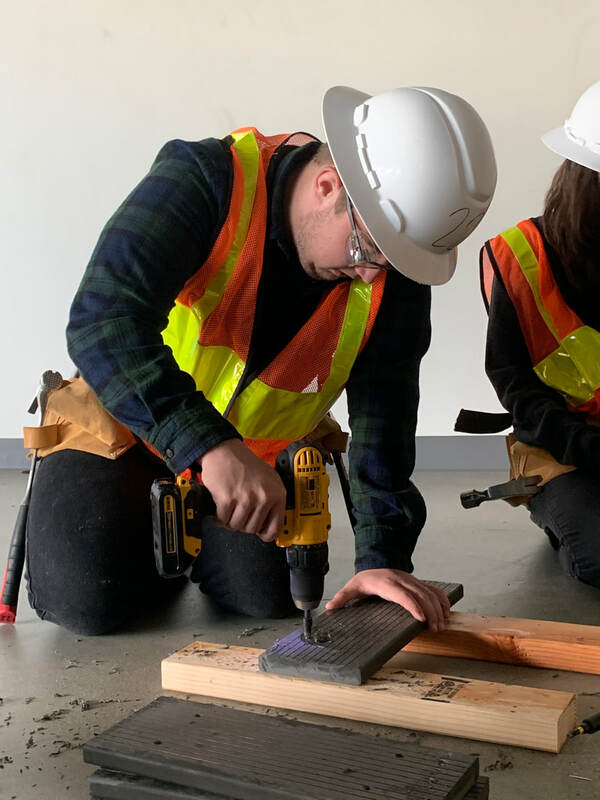 On the first day, we learned the absolute basics of construction: hammering a nail into wood. After the foremen went over the names and uses of the equipment, we spent the period practicing with the hammers. The next period, we learned how to drill. 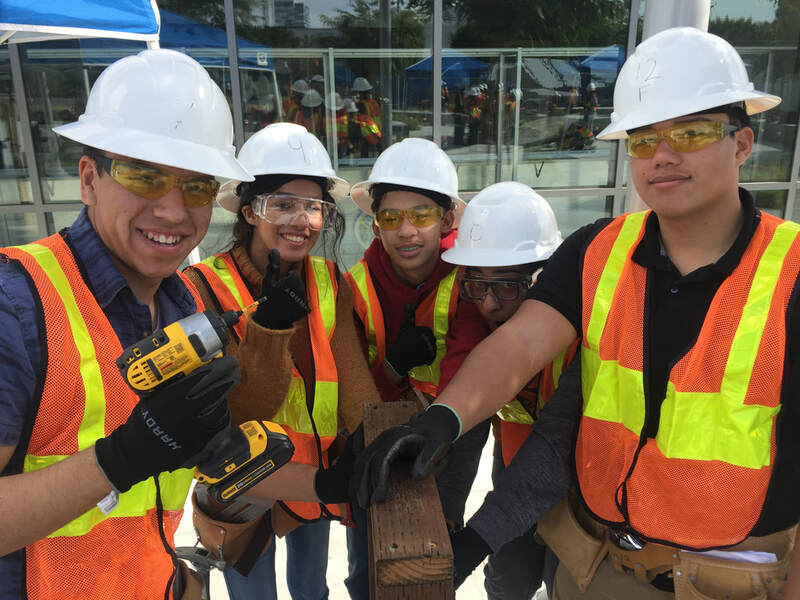 ​DV students get acquainted with the tools and safety equipment stored in the shed. ​Practice makes permanent. The first week heavily emphasized the importance of essential architectural skills. Finally, we began working on planters for the site with our construction groups. We were given the plans beforehand to annotate and review. The foremen delegated tasks and guided us through the first steps of the project.